What kind of companies fit the VCT model? SALLY BOYLE: So the VCTs have been around since 1995, so quite a long time. And they were originally set up to encourage people to invest into UK small companies. So how can we encourage people to invest into small companies? Well what we can do is give them a tax break in order to do so. So the way it works is if I invest into a VCT today, I can potentially claim back 30% of my investment amount against my income tax bill for this tax year. So for example if I invest £100,000, I could potentially claim back £30,000, but I have to have paid £30,000 in income tax in order to get it back. And the average size of a VCT investment is about £30,000 to £40,000. So we’re not always talking about £100,000 investments, but you can only actually invest £200,000 in any tax year. So once you’ve invested into the VCT, the VCT itself is a company, and the VCT goes on to make investments, and it has to make investments into VCT qualifying companies. So those companies have to meet the criteria of VCT qualifying as and when we make the investments. Now the other benefit of holding my VCT is VCTs are designed to pay dividends. And those dividends are tax free. But any income from a VCT is therefore tax free. And if you like what you can do is also reinvest that income back into the VCT and actually get tax relief on your dividends. And finally any growth on your VCT shares are tax free. Now, a couple of caveats here, first of all I have to hold my VCT for at least five years. So once I’ve invested I have to hold it for at least five years to keep those tax reliefs. And it’s worth nothing that VCTs can be harder to sell due to the nature of how they’re structured. So is there, and I suppose this is a question for anyone, are there three key things that you would need to make a successful VCT? Because there are a lot of VCTs out there, and some of them are quite famously not as successful, and some of them have really worked. So what do you think the key ingredients are? GEORGE WHITEHEAD: I’d say the key ingredients actually, it doesn’t just relate to VCTs, this relates to every venture capitalist in the market. And there are three things. There’s deal flow, resource and cash. If I just take those three one at a time, deal flow is the absolute life blood of these sorts of funds. Because if you’re looking for these really rare businesses that have the potential to be huge, they’re very hard to find, so you need to be incredibly well networked to find those sorts of companies and attract those kind of entrepreneurs with that kind of ambition. So we spend an enormous amount of time. We’ve got a team of 30-odd people who are in the ventures team who are networked everywhere into the kind of entrepreneurial ecosystem. From a resource point of view, it’s all to do with going not just how much cash can you put into a company, but what else can you do to move the needle for that business? Now you’ve got to think of it from an entrepreneur’s point of view. They’re thinking I want to grow a company to be world class. And for many of them it’ll be the first time they’ve grown a company to be worth £50m, £100m, £1bn, so there’s so much that they’ve got to learn. And we’re here to help them. And we bring them into a kind of community of other entrepreneurs that’s all about supporting them achieve those huge ambitions. And a crowd kind of attracts a crowd in this. Now we’ve got successes like Zoopla, Secret Escapes, Graze, SwiftKey, we’ve sold companies to some really massive companies, word gets out there and you get this kind of attraction where we get known as the place to come if you’re growing a really big business. And then the third area is cash. And cash is absolutely king here. People come to a VC because they want money. So it’s so important that we have enough money to be able to not just put money in the first round, but to keep following those investments and build up some really decent stakes. And we end up with about 20%, that’s what we’re aiming for in a company, stakes in some really exciting businesses. WILL GIBBS: Yes, it’s a really fair question. For me the first thing that I think is key to understand is the market in which Titan operates. In 2010, there was one business in the UK, one tech company valued at over a billion dollars; today that’s more like $20bn. So these are businesses like SkyScanner, Just Eat and Zoopla, which Titan was invested into. So the UK is a fantastic place to build these category defining businesses. And a lot has changed over the last five to 10 years in that regard. But I think a lot of that success and why the UK is a great place to build a business, a big business, really comes down to the fundamentals of the calibre of talent, specifically technical talent coming out of places like Oxford, Cambridge, Imperial, as well as the density of large global clients. So take for example if you’re a business, a kind of business selling financial technologies, we refer to it as a fintech company. There’s nowhere else better in Europe where you have UBS, Credit Suisse, some of the biggest global banks. And all of their European headquarters are in London, or even better more densely packed in Canary Wharf. So for entrepreneurs building big businesses, the UK and London specifically is a great place to do that. And actually it isn’t a particularly closely run race within Europe. So I think last year the UK had just under £2½bn of venture capital money invested. The next best geography is Paris, and that was closer to £½bn. So actually the discrepancy is really big, and the UK is a very special place in that regard to build these types of companies. And I suppose in terms of where Titan fits into that, that’s really key in that the brand, the Octopus brand within the entrepreneurial community is a really strong one. And much to the point that George made around actually we have a product that we offer to entrepreneurs, and that’s how we’re going to help grow their businesses, the fact that as a team we’ve been associated with some of the most high profile exits and growth stories in Europe. So whether that’s SwiftKey to Microsoft, Magic Pony to Twitter, the IPO of Zoopla, means that the UK is a great place to build a big business. And actually we are a prominent player in that market. So most of the best entrepreneurs have heard of us, and our aim is to make sure that we can actually lean in and invest in those most exciting assets. So a key part of us looking to fund raise this year is just that market opportunity for new deals. But actually I think the other key thing is talking about cash and the cash profile within Titan. And I suppose being straight with you, we quite often get the challenge of you guys just raised a load of money, why are you going out to raise more? And I think there the key thing to understand is the relationship between fund raising and cash deployment. So we look to, so if you take last year’s fund raise as an example, so we raised approximately £200m. We then look to deploy that over the following 12 to 18 months. So the money we raised last year we’re currently investing. And we expect to be investing that all the way up to circa June 2019. And so the inflows from this fund raise will then come in and then we’ll deploy that over the following year. So I think if you understand the time profile, it’s not just the case that we are stockpiling cash, it is we raise it, deploy it, raise it, deploy it. And I think, and George has already hinted at this point, but the majority of money that we invest is into existing portfolio companies. So when we have that discussion about should we fund raise this year that conversation first looks at the existing portfolio. We’ve got good visibility over how we could deploy more money into those winners, so companies like Bought By Many, which is potentially one of the most exciting fintech and insurance-based businesses in the UK, growing incredibly strongly. And for us it’s like great, how do we build a bigger stake in those companies? So any discussion around fund raising starts with the portfolio. Then when we overlay our expectation of deploying into new exciting deals, we get to quite a sizeable number. And so whilst those numbers can look quite scary at first, it’s worth noting that in terms of our cash deployment into this year, we’re already on track. So in the first half of, first quarter of this year we invested in five new deals. Our plan is to do 20 this year. So they’re big numbers, but we’re comfortable in actually making those deployments. SALLY BOYLE: Excellent, great to hear that. And I think you’ve all mentioned it so far, but a lot of advisers are quite familiar with Graze or Zoopla, particularly the people that are watching that potentially have followed the Titan story over the past few years. But it might be quite good if you could give us maybe some examples of portfolio companies that they might not have heard of. GEORGE WHITEHEAD: Yes, this is the cool thing, it’s what’s next? What are the next cool companies coming through the pipeline? And a lot of people are now looking at us to see what is next. Because now we’ve had such big successes that’s not a, that’s a really sensible question to be asking. So I’m going to pick a few examples of some of the really recent ones we’ve done, just to give you an idea of really the breadth of the sort of businesses we’re backing. So the first one I’m going to choose it GTN. And the reason I’m pointing this one out is because it is some really deep technology, and some absolutely awesome entrepreneurs running it. When I say deep technology, this is a combination of machine learning, and then just to make sure that that’s not confusing enough, they’ve added quantum physics along with it. And what it’s looking at, it’s simulating, it’s filtering and it’s searching for new molecules, but using this big data approach. And the impact potentially on drug discovery is absolutely phenomenal. So this is one of those game changing, industry changing technologies that could make a huge difference to finding new cancer treatments, or whatever it might be, and the drug industry is really leaning into this to find out more. It’s shockingly early. And this is what we do. We’ll back some companies that are very early stage, and we know they’re high risk, and we accept that because the potential is huge. And that’s what we’re looking for, companies that are addressing really big markets, run by teams who have huge ambitions, and then often backed with technology that is absolutely world class. And the team involved in this really are world class. They’re the top in their fields across the globe. I mean just to give you an idea of the size of the company. There’s 11 full-time people in there; 10 of them have PhDs. I sort of feel sorry for the one who’s left, but they're - so it’s only 11 people, and that makes a big difference. So when we’re sitting around the table trying to work out the strategy at the beginning, there’s just a few of us. And you can imagine the relationship that gets built up, which is all about trust, and all about looking to each other for support when we’re trying to grow these businesses. And as these companies scale and you see, you know, the Zooplas, the Secret Escapes, and all these other kind of businesses that have been very successful, that same culture is there. Because when you’re in at the beginning you’re there in the good times, you’re there in the bad times, people learn to come to you, not just with good news but with bad news, and then you work things through. And that position in the market of being genuinely supportive, helping these companies, is a really key part of our DNA. Another company, just to give you some more examples, I’m quite keen on this one, this is called Memrise, and it’s a user generated learning app. And the reason that’s cool is because if it’s user generated it’s a kind of platform, and it means you can grow it at a scale that is well beyond what a team of 10, 20-odd people can do individually, because you’re getting the public to start adding content to it. And I for example, my poor children are now doing their GCSE French, learning using Memrise. I went to Italy and I was learning Italian using it. But actually I think there’s one show off in the team who’s learning Mandarin doing it, just because they can; but 30 million users worldwide now. And this is a really early stage business still. But that’s the kind of scale you can get really rapidly if you’ve got an A grade team super-ambition addressing a big market, but also that is based on a technology platform that can deliver that kind of growth. The final one I wanted to point out out of this kind of group is a company called DeadHappy. And if you look at the, you might have the logo up in the background, and if you do it’s the one with the skull and the cross. SALLY BOYLE: Yes, it looks like a pirate. GEORGE WHITEHEAD: Yes, that’s exactly, that’s the one. SALLY BOYLE: It’s a bit Halloween isn’t it? GEORGE WHITEHEAD: Yes and the reason I point that out is because we’ve split the team up into different areas. So you would imagine the sort of size of fund we have, and the reputation we have, a lot of deals come to us. But actually what we’re finding is it’s also worth going digging. And we look for the areas where there’s the most disruption. And we split the team up looking at the future of health. So we know there’s an ageing population, we know there’s so much room for innovation in healthcare right across the field, and that’s an area we want to specialise in. The future of money, so financial services, fintech in general, there’s so much room for next generation opportunities there. And then future of industry, there are some really big new technologies coming up, a bit like GTN is looking at completely disrupting the drug discovery market because you’ve got new artificial intelligence, what may be completely disrupting industries. And the reason I mention this is with DeadHappy we had the future of money team going look at the insurance market, it just hasn’t adapted. It’s not moving forward. Look at life insurance and that way that’s been sold, and it’s all the same. But the whole point of DeadHappy is it’s approaching life insurance in a completely different way, and you’ll see it’s approaching a completely different type of audience. And so you can see the technology behind it. You’ll see it’s asking only something like four questions. These are the four questions you need to do when you’re trying to get a life insurance quote. So very quickly you can get life insurance. And it’s growing like crazy at the moment. SALLY BOYLE: Interesting, so you’ve obviously made quite a lot of new investments recently, how has that affected the overall balance of the portfolio? Because quite a lot of advisers want to know OK so what’s actually in there, and how long has it been in there, and if I invest into this, if my client invests into this, what are they actually getting investments in? GEORGE WHITEHEAD: Yes, I mean from the existing portfolio the key really is to see the breadth and depth of what we have. And this is, when you think of this from a risk profile, this is really important because it’s saying actually we’ve got some early stage, you know, fairly risky businesses that have huge potential, but we just don’t know yet what they’re going to do. So how is GTN really going to favour as it grows? But then we’ve got some quite established businesses. And we’ve got businesses where I think if we look at the top 10 in our portfolio, we’ve been sitting on those companies’ boards for, in every single one of them for over three years. And so it’s not just sitting on the board though. You remember the 11 people round the table thing, they really get to know you. So we’ve been going to their Christmas parties, we know them: I know the finance director, I know the head of sales. In fact in this case there’ll be people like Will who’ll be sitting on the recruitment panel when they’re trying to recruit the senior hires. So you get to know these companies inside out through the good times, the bad times, and that means that when you’re making an investment decision it’s a really informed investment decision, because there’s nothing they can kind of hide from you, because you’ve been part of that group. And with that we also get the rest of the team to peer review everything we’re doing. We have one team looking at deals. So people don’t get too caught up in a company, they’re beginning to question each other’s decisions and say actually is this company growing, let’s look at the metrics, let’s stand back a bit before making these kind of decisions. But you’ll see businesses here, some really obvious companies that people will be familiar with, Secret Escapes and so on, but we’re covering fintech, we’re covering health tech, we’re covering pretty much any other tech you can think of. And that’s because we think tech-enabled businesses are going to be disruptive. They have been disruptive, they’re going to continue being hugely disruptive, and there’s some enormous growth potential there. I mean if we talk about the kind of growth, we’ve seen the revenue growth across the portfolio just last year of 45% revenue growth in just one-year, and that’s £250m of additional revenue in one-year. And I mean another stat, 900 new employees this year alone, in the last 12 months. So if you’re looking at kind of signals that things are heading in the right direction, revenue is a key one, seeing these kind of job growths, there are some really exciting signs that the kind of businesses we’re backing and we’ll be continuing to follow on and put more money into, you know, are set become really huge. 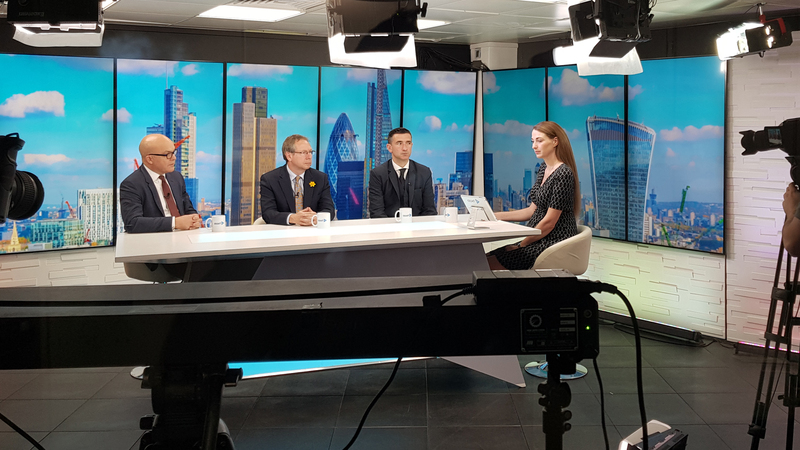 WILL GIBBS: I think that interestingly and having conversations with IFAs who may be thinking about kind of funds with more listed exposure, I think a good revenue growth rate for a listed company is maybe 5-10%. But to have an average growth rate of businesses that aren’t exposed to market risk in the same way listed equities are, that are still growing at 40-50%, is pretty special. SAMANTHA LING: I think one of the good things about the portfolio within Titan today, as George mentioned, the concept of investing in tech-enabled businesses, and when we talk about that that allows us to still be really quite generalist in lots of nature. So when we talk about that as a concept, it means that we can imply that to any industry, any different sector. And so when you look at the portfolio now, as with some of the examples that George already gave, there’s an incredible diversity in front of you. And to be able to give your investors clarity on the fact that they’re investing in more than 65 companies from day one, that they are in different types of sectors, they’re focusing on consumers or business, they have different kinds of international presence. Some of them are really early stage, some of them are much more mature, really does mean that if anything goes wrong in any one area across all of those, we believe that Titan isn’t over exposed in any one place. And so hopefully that helps make sure that we are not putting too much of our investors’ money into one place at one time and overexposing us, which I think is a really important part to remember. SALLY BOYLE: I think it’s something that people are always keen to understand, because I think sometimes as well it’s quite lazy just to think tech-enabled, that’s one sector, and particularly if people remember dotcom and all of that kind of thing. SALLY BOYLE: But actually they’re all different businesses. So, you know, like [unclear 0:31:37] a mattress business effectively, and then you’ve got all sorts of different business doing different things. SALLY BOYLE: Excellent. So George, what we’ve actually got now is very exciting. We’ve got a couple of videos. You might recognise some people on the videos. And the videos are going to be just a couple of examples of some of the companies that we’ve invested into to hopefully bring it to life a little bit. WILL GIBBS: Swoon sells furniture exclusively online, but has a very smart model by which they test every design in small batches before they go into full scale distribution – which means that they’re only ever selling designs that they know the consumers actually want, which is quite a different model to most of the other traditional retailers. SAMANTHA LING: The market opportunity was incredible. It’s around £20bn in the UK alone. We provided them with their earliest stage funding. WILL GIBBS: When we first spoke to them they were releasing around seven new designs a year; now they’re doing about 100 a month. Swoon’s online only model means that they can actually scale far faster than many other businesses in this industry. SIMON KING: myTomorrows is a platform for early access treatments that are not currently available to patients because they’re still in clinical trials. The founder had a family member who was terminally ill and couldn’t get access to treatment. The treatment that would potentially solve the problem was in late stage clinical trials, and so he built the business because of that reason. This is the first company that is looking at this space, so it’s highly innovative. A guy called Luke Hakes in our team who’s got a background in computational genetics was the guy who said we should be stepping forwards here. They have taken new sets of drugs in the markets in the Middle East and North Africa, people who didn’t have access to drugs that were in clinical trials can now go on the platform and get early access. Each of the individual drugs that are on the platform has potential to be a billion dollar revenue opportunity, and if a number of them are really successful then myTomorrows could scale to be a business worth tens of billions of dollars. 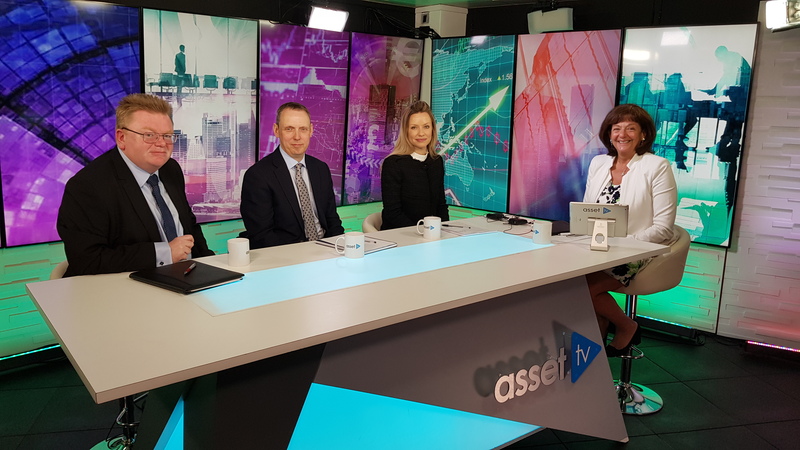 SALLY BOYLE: So, back to the team then, advisers often ask us about exits, and actually it’s probably one of the first things they do ask us: who are you going to sell next? It would be really good to understand maybe some recent exits, if you could let us know, give us some ideas. SAMANTHA LING: Yes of course. So we’re lucky enough, just to give some context, to have come from a background of we’ve been able to achieve a number of exits now over the years. As I mentioned earlier Titan’s over 10 years old. And we’ve caught the attention of lots of big technology giants with our portfolio as a result, which is obviously a great endorsement we believe of doing the right things and backing those incredibly talented teams that we think can really drive businesses forward. So we’ve sold businesses to the likes of Amazon, Google, Microsoft and Twitter. And those are businesses like SwiftKey for example that we sold to Microsoft in 2016, businesses that gave you a very clever version of predictive keyboard on your phones; businesses like Magic Pony, which has a more interesting name somehow, and was much more a purely technology play. It was a much younger business; we’d only been invested for a couple of years. And that effectively worked within the video space and was bought by Twitter. And we’ve also had businesses like Zoopla, which was mentioned earlier. It listed on the stock exchange and it became the first ever VCT backed company to reach a billion pounds. More recently though in 2018 we’ve actually seen two more exits added to our list, which is fantastic to see. The first one is a business called Secret Escapes. We’re actually still invested in Secret Escapes, so we only sold part of our shares there. But that’s a business that offers flash sales of large discounted luxury holidays and getaways. So very much a consumer business, one that people might even know who are watching today. We first invested in that business back in 2011, and it was very early stage. Similar to some of the ones that George was talking about earlier. We invested just a couple of hundred thousand pounds. And earlier this year they were raising some more money. They’ve already raised over £100m so far, but they raised a further £50 from a new investor. And as part of that transaction we were able to sell some of our shares, realise some money and return some money to the fund, and therefore our investors, which is great. But in the meantime they’ve grown to have over 50 million members. So that’s 50 million people globally across 21 territories that they are talking to an emailing about all of their different potential options in terms of holidays, flights, all of that fun stuff that we all like to talk about quite a lot. And as a part of that they’ve delivered over 150% revenue growth year-on-year. They’re a perfect example of a really high growth business led by people that we think have been fantastic at driving that business’ growth forward, and have applied technology to an area that you wouldn’t normally have seen it previously. The other business that we realised our investment from this year was a business called Tails.com. Tails was actually a third generation ventures business. So we originally backed that founder in a business called LOVEFiLM, which was before we even had Titan. That’s how long ago it was. Who came back to us with a business called Graze.com, and then when he exited that came back to us again with Tails in 2013. SALLY BOYLE: What’s he coming back to you with next? SAMANTHA LING: Well who knows, yes exactly. The interesting thing I guess when you think about those three businesses is that was DVDs by post, healthy food by post and then pet food. And the big question is what on earth do those three things have in common? I think the good answer is the talented team, obviously, but actually also that it’s a subscription model business. So it was taking something that had previously been in a bricks and mortar store if you like that you would have to go to yourself to pick up and bring home, and instead brought it to the consumers at home. Took out all of the hassle, made it much more customisable, much more user friendly and really disrupted all of those industries. And Tails is absolutely no different. So we first invested in 2013 there. We invested again when they continued to grow really well. And by the time that we exited earlier in 2018 they were feeding over 1% of the UK’s population of dogs, which is a pretty big number when you think how many dogs you see on every street corner. So both of those have been fantastic examples of success for us, and we really hope to be able to see more coming through. I’d love to say it was all good news obviously, I’d love that, it would be my favourite thing to sit here and talk about. But it’s not, sometimes things go wrong. We are absolutely early stage investors. So we also have businesses that fail. We’ve had about 21% of businesses that we’ve invested into we’ve exited at a loss instead of those profitable ones. But because of the way that we invest, and we invest a small amount to start off with, and only invest more when businesses do achieve what they said that they would, that’s only equivalent to about 11½% of the capital that we’ve ever deployed from Titan. And that’s really important to us to keep making sure that we are keeping our eye on the criteria in terms of the picking the investments in the first place, but also holding ourselves and those companies to account when it comes to progressing along with the business plan that they presented to us. Also being flexible, one of the best benefits of being a small company is if something changes they can change quickly as well. But making sure that they’re absolutely following that trajectory of growth is really important. Because ultimately we want to be able to continue back in businesses that we think have the potential to deliver 10 times or more of our initial investment. WILL GIBBS: And when I think about how that process works in terms of thinking about follow-on funding, I think one crucial thing that we do that I’m not sure whether many other funds do, is when we make our first investment we set a list of milestones. And so for us these milestones might be commercial, financial, things like revenue targets, or it might be key hires that we expect them to make, or new products or new geographies that we want them to go into, but the importance of that overall exercise is that success is not ambiguous. That for us we have a fairly clear sense of if the business does XYZ then we’ll put more money in; if it doesn’t then we won’t. Because really for us the challenge as a manager is how do we maximise our exposure to the real winners and minimise our exposure to companies that don’t look like they might go the full way and meet our target returns. So having objective tests like that also means for the entrepreneurs they know exactly where they stand with us. But from underlying shareholders it also means that they can have some confidence that when we are leaning in and making significant portfolio follow-on investment that there’s a basis there in fact rather than it hadn’t kind of gone according to plan, let’s put another £5m because it might work. SAMANTHA LING: And hope for the best. WILL GIBBS: Yes, that’s not how it works. SALLY BOYLE: I can imagine that’s quite a tough conversation to be had though at times. SAMANTHA LING: Yes, it’s a really hard decision sometimes, and we have on occasion had to step away from businesses, and that’s horrible messaging to have to give back to a CEO or an entrepreneur. But it’s the right thing to do when it comes to managing Titan as a fund and our investors’ money. So those are decisions we have to sign up for I’m afraid. SALLY BOYLE: Yes, it’s not always rosy. WILL GIBBS: Sure. So I suppose at a high level Titan has delivered on what it set out to do, which is delivering 5p a year regular tax-free dividends. So all the information you see in the table on the performance chart includes all of the fees, the success stories in the portfolios as well as some of the failures. So this is the actual effective returns that shareholders will receive. Obviously it doesn’t include any of the tax, treat tax, upfront tax reliefs or ongoing in all the performance numbers. But maybe it’s worth just taking a step back and understanding how performance works, in that a question that we often get is how do you value these companies, because it isn’t straightforward. But every six months we value all of our portfolio holdings, as well as cash and cash equivalents. And so that means over any six-month period we have some companies that do well, and so we’ll see an uptick in valuation. We have some companies that maybe don’t perform, so we might take a provision and they’ll kind of come down. And then when we take out the costs of running the fund, and dividends and fees, then you get a net movement of the fund over any six-month period. And so where there is growth, growth overall within those two six-month periods, then we’ll look to pay out that growth through dividends. So what that means for shareholders is the NAV of the fund should stay fairly static. So between 90p and 100p, that’s where we look to keep it. And then increases above that we’ll look to pay out, clearly all at the board’s discretion, but pay that out as regular dividends. So what that means is sometimes for shareholders when they look at it and go Titan’s really rubbish, it’s flat-lined. It’s like actually that’s intentional. When you look at it in terms of total returns and the dividends, that’s where they should expect their income to come from. So that hopefully gives some colour to the methodology and where performance comes from. But going forward, we’re confident in committing to a 5p a year regular tax-free dividend. But as and when we have mega exits then we’d also like to be in a position to pay out special dividends. So if I roll back a few years to SwiftKey when we sold that business, a special dividend of 5p per share was paid to all shareholders. And that I think in aggregate was about £27m. So if we’re taking big stakes in companies that could be massive, when they do eventually exit or we sell them, the impact can be material. So for us specials are still very much part of the mix, but it doesn’t mean that as soon as we have an exit there’s going to be a special. We assume some exits are realisations just to fund the regular dividends. SALLY BOYLE: That makes sense. I think we had a couple of questions actually about that. So we talk about this 5p dividend. And is that equivalent to 5%? Well it’s there or thereabouts because the NAV does go up and down every six months or so. So that’s a useful point to cover off. So I think we’ve 45 minutes. We’ve got 15 minutes left, so we’re kind of running out of time. So final question then, well before I remind everyone what the risks are. So if we’re going to call out the key takeaways for advisers then. So if you are an adviser and you’re looking to potentially recommend Titan to one of your clients, or even if you’re an adviser looking to recommend it to yourself and you’re going to invest yourself, what would you say the key things to bring up would be, the key points? GEORGE WHITEHEAD: So I know the advisers, the advisers will be thinking of the 5p dividend, and hopefully some specials. Which I think is a really important one to know, that’s exactly what we’re aiming for. And you can see I think hopefully that we’re feeling pretty bullish about getting the 5p dividend. Because when you look at the portfolio and you look at where we are in the rest of the market, we are in a really unique position. So when Samantha just mentioned in passing, we sell companies to Google, Microsoft, Twitter, Amazon, there is literally no other VC in Europe, there’s barely a VC in the world who’s got a list of exits like that. So to position it, we’re looking for companies that could be really good, we become the obvious choice for the companies with the biggest potential, and that’s the great position we’re in now. We’re looking for companies that can really move the needle, and we want, the sort of entrepreneurs we’re looking for are the game changers, and that’s what gets us excited, and all of that filters back to mean that we can feel pretty strongly about the 5p dividend and hopefully some specials. SALLY BOYLE: I think it goes without saying that VCTs are very high risk products. The types of companies that the team are investing into tend to be right at the beginning of their story, and therefore the potential to lose money in those companies is very high. So VCTs are not going to be suitable for every single client, and the suitability of the VCT for your client is for you as a financial adviser to assess. And obviously the tax treatment is really important, so you need to make sure that the tax treatment is going to be suitable for your client. And as we’ve mentioned it on several occasions, we’ve talked about some of the companies we’ve invested into and some of the past performance, but that doesn’t mean that we’re always going to be able to deliver that in the future. So that 5p for example is actually just a target. It’s just something that we’ll have to aim for. And finally if you have invested into a VCT you do need to hold it for five years, and they can be harder to sell due to the nature of the structure. So do you see, how is Brexit going to impact the portfolio? GEORGE WHITEHEAD: It’s a really good question. One of the things to remember is these are unquoted companies. So they don’t get hit by the kind of market perception, the fluctuations that happen on a day-to-day basis on the public market; it’s really quite different from that. An awful lot of the companies we are investing in, about 70-odd percent, have offices, 65% have offices outside the UK, 70% have got revenues outside of Europe, and so for us these are global potential companies. The other thing to bear in mind is that when we scale companies, and when we’re helping the businesses scale, you don’t just scale into Europe, you do it country by country. It’s a completely different language, culture. You have different things on smartphones. All sorts of things are different when you go to Germany, to when you go to France, to when you go to wherever else it might be. So actually it’s always been tough to scale in Europe. And it will continue being tough, but it’s not something that particularly scares us, because the sort of entrepreneurs we’re backing are very adaptable. SAMANTHA LING: I think the one area that if we talk to our portfolio, where are they worried when it comes to Brexit, is more about being able to continue to bolster the great people that they work with. So in order to be the best possible business in these huge global markets that we’re talking about, they need the best possible people. And often sometimes that absolutely comes from the UK, but actually a lot of time it doesn’t. You need the best possible developers, or marketing people or sales people with the knowledge of your particular industry that isn’t in this particular country. And so to make sure that they continue to be able to attract the best possible talent is probably the thing that keeps them up at night, and therefore in turn keeps us up at night. So I don’t think we know all the answers to that yet, I think there’s lots of unknowns still on lots of fronts, but we continue to work with our portfolios to make sure that we are getting as much information as possible, and we’ll be there by their sides to help work through whatever knowledge we get, and make sure that they can still attract that best talent going forward I think. GEORGE WHITEHEAD: You could think from a public policy point of view actually the government really get that these kind of entrepreneurs, the people we’re backing, they’re the engine of the economy. And so when we can point and go 900 new jobs created last year, when we talk about the revenue of the sort of businesses we’re backing, of course they want to encourage that. So as soon as we’re saying actually we’re concerned about there being, access to talent might restrict that growth, they’re trying to do everything they can to work out ways to create public policy around it. At the moment it’s tier two visas that we’re looking at specifically, and spending an awful lot of time with government actually helping them design the visa structure that could best suit the kind of companies we’re backing. SALLY BOYLE: How does a buyback work, and how do you get a buyback? WILL GIBBS: So historically the way that buybacks would work is you hold your shares for your five years, and then we worked with a broker to facilitate those buybacks. And they would be bought at circa 5% discount to NAV. That kind of worked. That was also only possible because of the scale of Titan. Smaller funds I think find it far harder to do buybacks. But there was a bit of friction in that process. We’ve looked to reduce that friction by bringing them in-house. So now it means that for underlying shareholders when they want to do a buyback, they speak to one of the sales people or the client relations team, but the main thing is that we process that in-house. That’s still bought at a discount to NAV. But means that for shareholders maybe looking at other investment options, where liquidity on the backend was previously a bit of a concern, we’ve done a lot to hopefully address that so Titan can be positioned more broadly as a product. SALLY BOYLE: So I think we’re trying to address that issue, but obviously VCT shares are always going to be harder to sell than other company shares. And this is an interesting question that I’m going to ask you anyway, because it’s funny, what’s your view on investing in the marijuana market, especially with Canada’s legislation tomorrow? Anyone want to take that one? WILL GIBBS: Yes, happy to take that one. So it’s something that we’ve looked at. We haven’t got serious yet in terms of investment. So I look at a lot of our health tech, health and wellness. But actually if you look at the US market there’s a lot of businesses that play in the legalised cannabis space. And actually the health benefits of cannabis and the underlying chemicals within it, ATC, that’s fairly well known. So there’s nothing, whilst we all kind of laugh about it that is a well-known medical treatment. So can that be applied to other areas of the market? That’s quite exciting. Is there an opportunity to build a business worth hundreds of millions or billions? Potentially. So I think it’s something we’re open-minded about, but haven’t really gone through the detail. SALLY BOYLE: Yes, it’s one of those things to keep an eye on. Let me have a look. Could you, I know we’ve mentioned this really briefly, but could you talk through one of the companies that’s failed or struggling potentially; have you got an example? SAMANTHA LING: I can talk about one of those. So we previously invested in a business called YPlan. We backed that a number of years ago. We originally again made a seed investment, so particularly early stage, very small investment. And YPlan looked to target very last minute tickets to events, so theatre, gigs, that kind of thing. They were originally focused in London, but they looked to expand into other cities while we were invested. So it’s a market where we could really see great opportunity, there’s often lots of unsold tickets at the last minute for this kind of thing. And the likes of lastminute.com weren’t quite filling that, you needed to be there a little bit earlier to be able to use that kind of service; whereas, YPlan really was focused on the last 24 hours. So we could definitely see the market, and we could definitely see the potential for growth. We had a great team there, absolutely, but what we had with YPlan was a temptation probably to go too far too fast. So they turned their sights overseas quite quickly. And at the time we didn’t have our New York office, we didn’t have an international presence in the same way. So when they looked to move overseas we were able to work with them absolutely, but we didn’t have that level of expertise and knowledge that we do now. So they did go to the States. They moved into two cities: off the top of my head San Francisco and New York. And initially the signs were good, but actually the market in the States was very different to here. And what it also did was distracted the management from their home ground, when they hadn’t really grown it enough for it to be self-sufficient already. So with that distraction it became them spreading themselves too thinly really over too many different things. As a result the performance of the business started to suffer, and continued to suffer, and so we had to start making those difficult decisions we were talking about earlier, where we were asked for more money at different points, and where they’d consistently not hit those milestones that we’d agreed with them in advance it was very difficult for us to fund further. Actually what happened with YPlan is we eventually sold that particular business to a company called TimeOut; which some of you might know from both magazines and online. TimeOut Group is obviously a big player in that kind of market in the first place, so we sold that business at quite a heavy loss, but we did sell it into TimeOut. We received shares in exchange for that, rather than cash. But unfortunately TimeOut has faced its own challenges in the last couple of years since we went through that transaction, so we’re no longer a shareholder on that side either. GEORGE WHITEHEAD: Actually the key thing is to learn the lessons from when these sorts of failures happen. And that’s what we do. Every time something goes wrong we kind of regroup and learn what we can learn. And that was one of the reasons why we’ve really doubled down on the US office, because actually scaling in the US it feels like it’s an inevitable decision for any kind of fast growth business to do. It’s actually really hard to get right, and it’s really hard to get the timing right to choose when is the optimum time to go out to the US, so often we’re telling companies now’s not right. We’ve actually got line of sight on a UK market of hundreds of millions of revenue if you just stay focused. So why don’t we go after that first, and then when we’ve got that, then you’ve got the kind of scale to really smash it in the US. And so making sure companies scale in the US is a really important one. And on that we’ve just taken, literally last week we took 16 portfolio CEOs off to the West Coast of the US. And it’s done for a couple of reasons. One is to introduce them to other people who’ve been very successful. I think in the three days they were there they met entrepreneurs, CEOs of companies who had created £200bn of shareholder value. And what we’re trying to do here is we’re trying to get people to raise their ambition. So they start thinking I’m not looking for a £50m exit, or £100m exit because I’m the most successful person I know; I’m looking for a company that could be worth billions, because I know it’s possible, because I’ve met people like me who have achieved that. And so a lot of what we do is showing people what can be done if they really go for it, giving them the cash, the resources and then the connections to really build big businesses.